As the searches on the premises of the groups continued for the eighth day by the ED, Income Tax Department officials said property worth Rs 1,200 crore of the Gitanjali Group located in Special Economic Zone(SEZ) in Hyderabad has been attached in a fresh action. Intensifying the crackdown on the Nirav Modi and Mehul Choksi groups, the Enforcement Department (ED) on Thursday said it has frozen their shares, deposits and luxury cars worth over Rs 100 crore in the money laundering probe against them in the Rs 11,400-crore alleged PNB fraud. 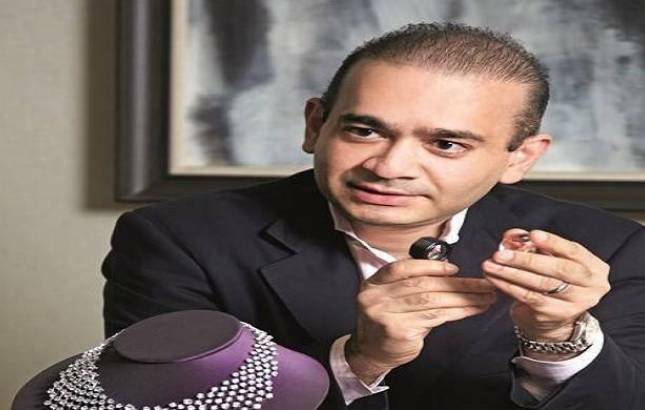 Nirav Modi, the billionaire diamond king under the scanner of various investigating agencies, failed to depose before the Enforcement Directorate(ED) after summons were issued to him, agency officials said. The officials said that Modi, who was summoned for today by the agency under a section of the Prevention of Money Laundering Act (PMLA), has now been asked to join investigationS and appear before the ED in Mumbai on February 26. They said Modi replied to the Investigating Officer (IO), who is probing him and his uncle and Gitanjali Gems promoter Mehul Choksi in the Punjab National Bank (PNB) fraud case, and said the temporary suspension of his passport and pending business issues are the reasons for his non-appearance. In a fresh development, the state-owned PNB asked Modi to come up with a concrete and implementable plan to settle the loss caused to it by fraudulent issuance of Letter of Undertakings (LoU) through one of its branches. PNB said this in its response to a mail written by Modi, who allegedly cheated the bank of Rs 11,400 crore in connivance with a few bank officials. ED officials said they have frozen mutual funds and shares worth Rs 86.72 crore belonging to Choksi and his group and Rs 7.80 crore owned by the Modi group. While the total value of these shares and mutual funds is Rs 94.52 crore, the costly four-wheelers are worth a few crores and hence the total seizure value stands to be over Rs 100 crore, the officials said. The total seizure in the case stands now at Rs 5,826 crore, they said, adding it is being independently valued. The central probe agency also seized nine high-end cars belonging to Modi during the raids that were launched against him and Choksi on February 15 under provisions of the PMLA. The seized car brands include a Rolls Royce 'Ghost', a Mercedes Benz, a Porsche Panamera, three Honda models, a Toyota Fortuner and an Innova. Modi, Choksi and others are being investigated by multiple probe agencies after the fraud came to light recently following a complaint by the PNB. The complaint alleged that they cheated the country's second largest public sector lender to the tune of Rs 11,400 crore, with the purported involvement of a few employees of the bank. "You were getting LoUs issued illegally and in an unauthorized way through few bank officials. At no stage such facilities were extended by our bank to your three partner firms," sources said citing mail response sent by PNB General Manager (international banking division) Ashwini Vats to Nirav Modi. When the alleged illegal dealings of of Modi surfaced, the bank brought them to the notice of the law enforcement agencies as they apparently violated FEMA and anti-money laundering law, sources said. "Your commitment and undertaking for sparing of the total liability was not backed by providing upfront amounts and timelines. However, should you have any concrete and implementable plan, do revert back," the mail said. Modi in his letter to the bank had said that the over-zealousness on the part of the bank to deal with the issue destroyed his jewellery brand and also jeopardised his ability to clear the dues. "In the anxiety to recover your dues immediately, despite my offer (on February 13, a day before the public announcement, and on 15, your actions have destroyed my brand and the business and have now restricted your ability to recover all the dues leaving a trail of unpaid debts," Modi said in its letter to the bank. The bank also reaffirmed that it has enough assets to meet any liability. "We have followed lawful avenues available to us as per law of the land to recover our dues," the bank said in a regulatory filing. Stock exchanges had sought clarification on Modi's comment that "PNB has closed all options to recover dues by going public".